May the Fourth Be With You… Happy Star Wars Day! Happy Star Wars Day, fanboys and fangirls! So important, this Saga is, that it has warranted it’s own day. But how did this come about? May 4 is called Star Wars Day because of the popularity of a common pun spoken on this day. Since the phrase “May the Force be with you” is a famous quote often spoken in the Star Wars films, fans commonly say “May the fourth be with you” on this day. Current day Star Wars fans were not the first to introduce the line “May the fourth be with you”: when Margaret Thatcher was elected Britain’s first female Prime Minister on May 4, 1979, her party placed an advertisement in The London Evening News that said “May the Fourth Be with You, Maggie. Congratulations.” This reading of the line has also been recorded in the UK Parliament’s Hansard. 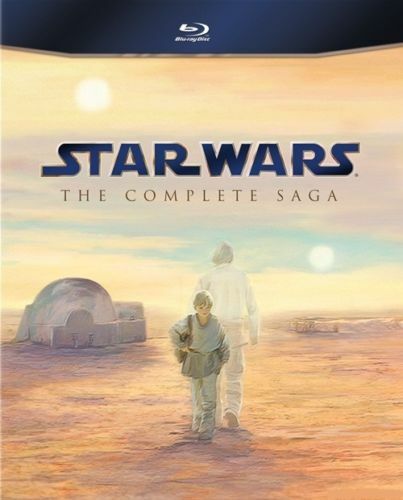 So, there you have it, Star Wars fans, the origins of this day dedicated to us and the epic trilogy (Yes, I know there are 6… but really??). Enjoy the fourth and as always, remember – Do. Or do not. There is no Try. George Lucas changes Star Wars again… NOOOOOOOO!!!! The newest rumor (and I’m praying it’s just that) is that George Lucas has added Darth Vader’s dreaded, “NOOOOOO! 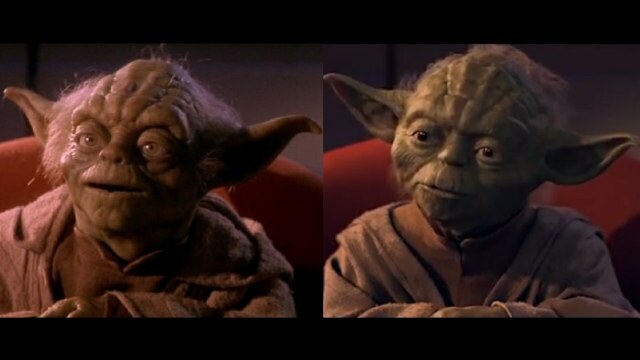 !” from the end of Episode 3, Revenge of The Sith, into Return of the Jedi. I believe the response I posted when this was shared with me was: I. Will. Kill. Him. I stand by that. Jedi is a masterpiece, second only to Empire (IMO). Why do you have to mess with this??!! Another rumor is a change to Obi-Wan’s Krayt Dragon call from A New Hope. No real confirmation on that. Be sure to head on over to Collider.com for the full article. So, Celebration V (the seventh Celebration of the Star Wars saga, the fifth in the United States), kicked off this week and finally gave us some new footage of Star Wars. It’s pretty epic – a never-before-screened scene cut from Return of the Jedi in which Darth Vader tempts Luke Skywalker to join the dark side, paired with footage of Luke constructing/activating his green lightsaber and officially becoming a Jedi Knight. Awesomeness. Eureka News – STAN LEE!! Stoned – Sneak Peek – Eureka. PS. Anyone else picking up on Fargo’s Terminator references each week??!! LOVE it. Another solid episode this week from the Warehouse gang. Some killer girl power going on and t he return of H.G. Wells. I’m not sure if I buy Myka accepting HG so easily, but it did work well for the episode. The plotline about her daughter kind of struck me, I think I did see some genuine sadness about not being able to see her anymore. Her motives are definitely her own and Myka must realize this. The grappling gun was a nice touch at the end, but I’m not sure if that was an artifact or just a cool invention. Does it have any ‘powers’ or is it just cool? Isn’t that what defines an artifact, the powers?? I do hope we see much more of her in the future. Is anyone else having as much fun as I am about guessing Claudia’s hair streak color each week. I think it’s a great subtle touch to her character as well as clever on the writer’s side. Pete and Artie were awesome this week. First off, I love that they finally admitted that there are artifacts being played with at the Warehouse. I almost fell off the couch when I saw the Tim Leary glasses reappear and Artie’s new look through them. I think Pete’s comedy is absolutely genius. A fact that played into how well acted “Around The Bend” was as we see Pete in a serious tone, which kind of freaked me out. Lindsay Wagner was cool and the appendix gag of growing back each year was pretty funny. Especially since he’s using Barnum’s Top to do it. I’m glad they have a little love interest for Artie (who is the Walrus??). Merge with Caution – Sneak Peek – Warehouse 13. Some news from the world of Clark Kent is the announcement of the baddies in season 10. At Comic Con this year, it was confirmed that Darkseid and the evil New Gods of Apokolips would feature as some of season ten’s villains. While Darkseid has yet to be cast, some of his entourage have! Actor Steve Byers for you. He’ll be Desaad, Darkseid’s master torturer who is often depicted in the comics wearing a cloak. According to Kryptonsite, Michael Daingerfield will begin portraying Gordon Godfrey in the third episode of the upcoming season. “The episode is entitled ‘Supergirl’ and also features the previously announced return of Laura Vandervoort as Kara.” Godfrey, sometimes called Glorious Godfrey, appeared in comics from the 70’s with red hair. A member of the Apokoliptian Gods, he enjoys the power of persuasion. I’m super stoked for this final chapter. So that’s all for me this week. What’s your thoughts on the Fall TV shows? How about Stan Lee on Eureka? Comment your thoughts!